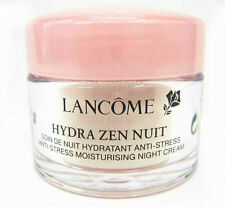 LANCOME Hydra Zen Neo Calm Anti-Stress Moisturising Cream 50ml. RENERGIE NUIT MULTILIFT. It is nearly impossible to replicate colours exactly. Also different computer settings affect colour. Important Information. It is nearly impossible to replicate colours. For optimum results, pair your Visionnaire with Génifique to create our super serum ritual. With Visionnaire, wrinkles appear visibly reduced, pores minimised and imperfections such as uneven skin tone appear corrected for a more even complexion. Eye Makeup Remover. For Sensitive Eyes. 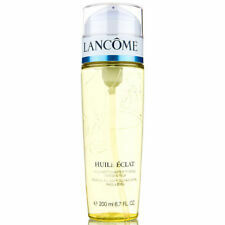 Lancome Hydra Zen Neurocalm (12x5ml) 60ml Soothing AntiStress Moisturising Cream. Condition is New. Dispatched with Royal Mail 2nd Class. LANCOME Advanced Genifique Youth Activating Concentrate 2.5oz. 75ml ***Empty Box. Condition is Used. Dispatched with Royal Mail 2nd Class. Lancome GÉNIFIQUE YEUX LIGHT-PEARL EYE ILLUMINATING SERUM 5ml Génifique Yeux Light-Pearl contours your eyes for younger-looking and brighter appearance. With the unique massaging 360° Light Pearl™ applicator, our multitasking skincare eye serum refreshes eyes by smoothing the appearance of fine lines and wrinkles, reducing dark circles and under eye bags. Optimum brightness and firness night after night. This is sample size 15ml for sale, each sample size bottle is exactly 15ml. This is sample size 15ml for sale, each sample size bottle isexactly 15ml. Contains Pro-XylaneTM, Rose Distillate, Apple Lysate Complex & Shea Butter. No collection available. States 'sample, not for sale'. 100% GENUINE. Eau Micellaire Douceur gently liberates the skin from impurities. The micellaire technology allows perfect Makeup removal with optimal tolerance in a burst of freshness. - 200ml Full Size. Its gentle formula can be used to remove eye and lip Makeup. Much more than a wrinkle-corrector, a formula with internationally patented¹ [LR 2412 4%] capable of re-creating more beautiful skin. 24 x 1.5ml = 36ml total. This size should last you about a week. 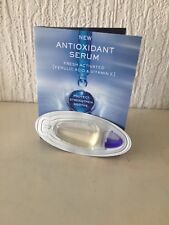 Developed with advanced Genifique Technology & a biotechnology-derived ingredient. 24 x 3ml = 72ml in total. Advanced Multi-Correcting Gel-In-Oil 3ml each. 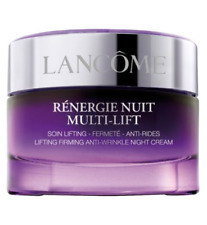 Intense Revitalizing Cream. Handy for travelling or to pop into a bag.